What am I wearing for the FOTD? 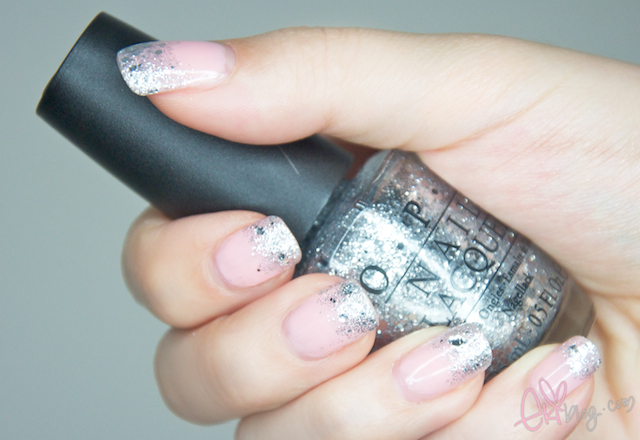 I have been loving this glitter nail polish by OPI in Crown me already from their Miss Universe 2011 series~ Super pretty silver sparkles with good mix of small to large glitters! Haha you look pretty as a blonde! And the makeup is GORGEOUS! You're so pretty. You look like a doll! xD You always look gorgeous but this is just insanity. Those lashes look so soft! You pull of cosplay so well~ gorgeous colors with Sugarpill! You are absolutely gorgeous in any colour hair!! love this look eki - just so pretty. love the pop of colour! I really like this :) But who are you cosplaying as? The entire look is so perfect! Down to the nails. so pretty! this is what you would look like as a platinum blonde! Its a good look for you. love the eyes and nails. you look soooo pretty eki! wow you look soo pretty! i love the wig and it suit you!! wow wow in love with it! you have such a cute and pretyt unique look! love your eyes!! Wow!! You look really amazing!! Platinum blonde suits you really well! :) Love love love it!! I can't help it everytime I see your FOTD, you are gorgeous. I love the colors you used on your eyelids. It reminds me of the beach. Since this is a cosplay look, who are you cosplaying as? Those colors are gorgeous! I love the way you applied the shadows. Cute look! Your photos, your face, finally all your beauty! I say.. But what a chance! You are very beautiful!! Sorry bad english..
Love the fotd! Those blues are so pretty and vibrant and your skin looks flawless! Cute! I really like to see you with this different type of look, blond hair and teal eyeshadow. I just love teal colors in the summer! I hope we can get a chance to meet after I get back to Minnesota in the fall!! you are veryyyyyy pretty! !I'm happy to see this post coz i always wants to read everything on ekiblog! OMG! You look gorgeous. 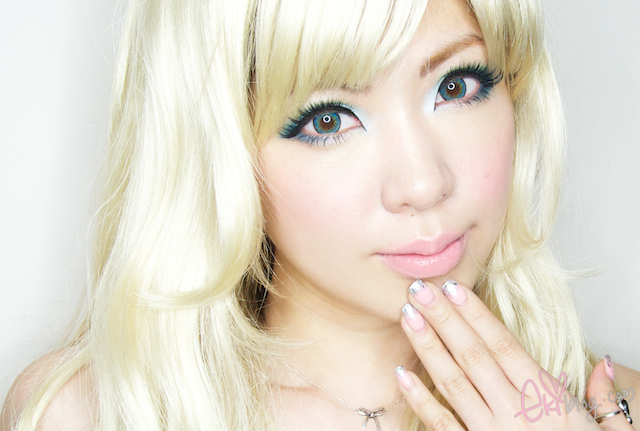 Normally I think it's weird seeing Asians with blonde hair but you look so cute and it actually suits you! The whole make-up and everything is lovely! :D Oh, have to say, always admire the lighting you use in your photos. So professional looking! you look gorgeous. love the color combo. i love the blue, although i don't think it will look nice on me. i love the nail polish too. glittery ones are the best. Eki you look stunning! I love the eyeshadow! =) It looks so pretty and so pigmented =) The colour is SOO stunning!